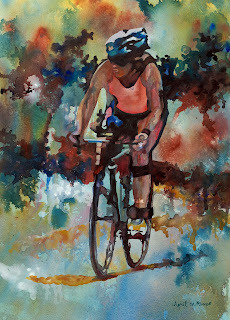 I have been painting bicycle and bicyclist for a while. 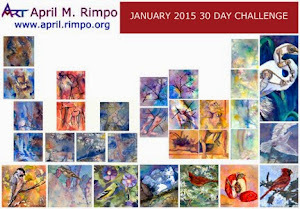 In my latest paintings my intent is to emphasize motion, speed, and energy. In both paintings I enjoyed letting the background flow into the image of the bicyclist. In Movement I the background becomes part of the shirt and the race number attached just below his back. In Movement II background shapes can be seen running into her flesh tones, helping to ground her in the scene. 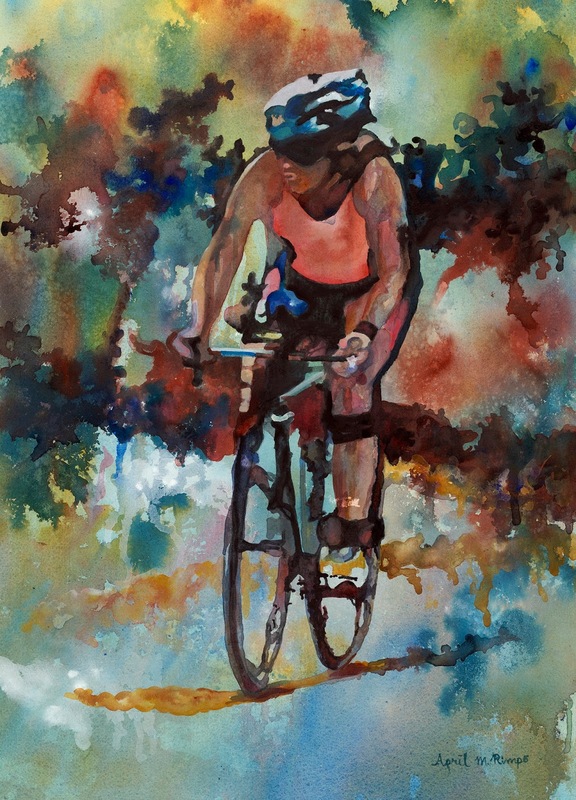 For your favorite cyclist, consider this. 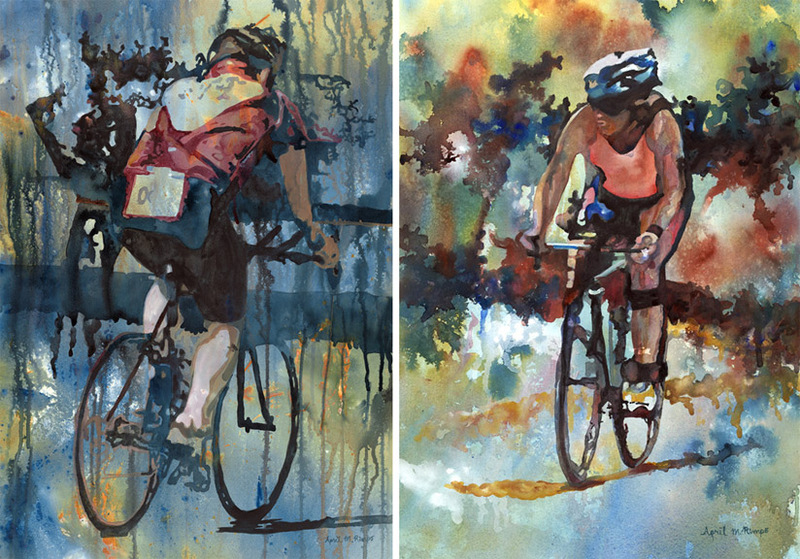 Giclee prints on watercolor paper, each print is 10"X 14" and will fit a standard 16" X 20" frame. 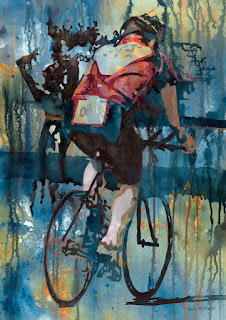 Mat is not included..
Movement was selected by juror Carole Pickel for the 8th Annual International Society of Acrylic Painters Open International Online Show. 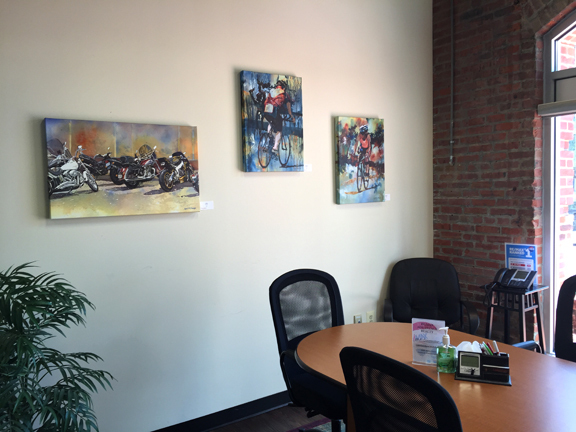 See the exhibit here. It was one of 60 paintings selected from a field of 300. It has also been selected for North Light Books' AcrylicWork5: Bold Values, to be released in 2018. I love the background in both of these paintings! You created two stunningl pieces. Thank you, Sue. These started as abstracts that I then added the bicyclists to. A new departure for me and I loved it.